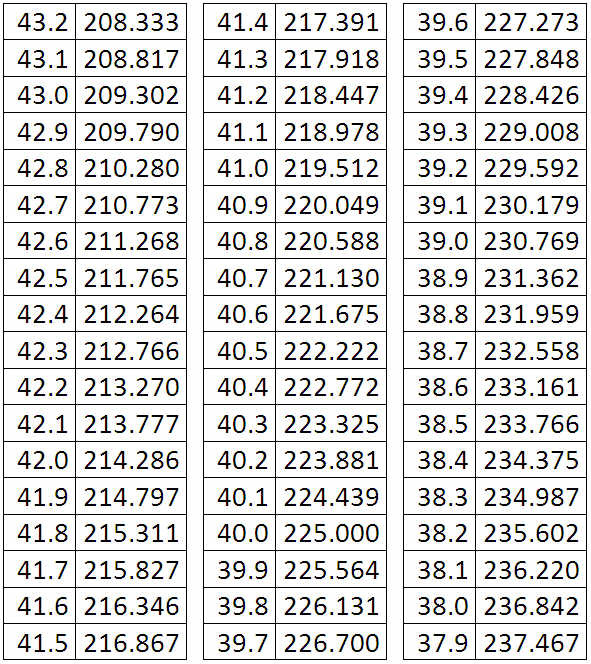 As a public service, here is a chart to convert lap time to speed over a lap at Indianapolis Motor Speedway. Enjoy! I don’t have a chart set up but any speed can be found if the lap times (in seconds) are known. ((Distance (in ACS case, 2 (miles)) / lap time in seconds) X 3600 will give you the average speed for a given length of track. And, of course as we’ve seen today, this works for Pocono Raceway or any other 2.5 mile track as well.